1.Web Designer Sought at eChinacities, Up to 13,000 RMB Monthly! 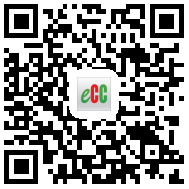 2.Digital Marketing Manager Sought at eChinacities, 12,000 - 18,000 RMB Monthly! 3.Editing/Marketing Interns Sought at eChinacities, Remuneration Available! 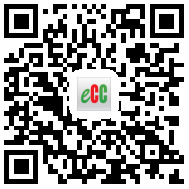 eChinacities is an English website for the English-speaking community in China and for anyone interested in Chinese news and culture outside of China. The website includes comprehensive information on 41 cities in China, including city guide articles, news and events, expat blogs and translated articles, a nationwide Answers section and one of the country’s biggest job sections for foreigners. Successful candidate will be responsible for designing the visually appealing web site pages, mobile application user interface and driving the positive overall user experience. The role of a web designer requires an understanding of graphic design and computer programming for web sites and mobile applications. The ideal candidate will have the ability to create clean, artful designs within the established web site and content management. Remuneration is available for successful applicant. To apply for this position, please email a cover letter, a current resume and sample web design to hr@echinacities.com. Please include ‘web designer’ in the subject field. Due to the high volume of applications, we will only be able to contact those who were successful. Overseeing the social media strategy for the company. Managing the redesign of the company website. Review new technologies and keep the company at the forefront of developments in digital marketing. Bachelor degree in marketing or business. Experience managing PPC, SEO and Affiliate programmes. Strong understanding of current online marketing concepts, strategy and best practice. Experience in e-commerce, SEO, PPC, Email marketing, and social media. Previous experience in a similar digital marketing role. To apply for this position, please email a cover letter, a current resume and sample web design to hr@echinacities.com. Please include ‘digital marketing manager’ in the subject field. Due to the high volume of applications, we will only be able to contact those who were successful. Successful candidates will assist in editing and polishing web content, moderating community posts and promoting in social media such as Facebook and Twitter. Suitable interns who have satisfied our requirements and have successfully demonstrated excellent communication and team player skills as well as a passion for their job, may be hired to stay on as part time or full time in-house after the internship. An internship at eChinacities can also help students and new graduates bridge the gap between school and the working world. The programme will also equip interns with excellent research and communication skills and provides an excellent window for gaining a better understanding of online media world and expat community in China. Remuneration is available for successful applicants. To apply for this position, please email a cover letter, a current resume to hr@echinacities.com. Please include ‘editing/marketing intern’ in the subject field. Due to the high volume of applications, we will only be able to contact those who were successful.